EASTHAM - New Listing - Delightfully updated and nicely located. This 3 bedroom ranch home had a major renovation in 2005 with a unique glass solarium back porch, new roof and siding, and a large new living room. The open living room and kitchen have beautiful Brazilian cherry floors with vaulted ceiling, a ceiling fan, and a fireplace. One floor living. The location is also notable - less than 100 feet to the bike path, a short walk to Great Pond Beach and very close to the National Seashore's Visitors Center. This home has been a great rental and can be had turn-key. Bring your swim suit and Dream Here! Want more? More photos, a Virtual Tour, more info? Go ... HERE! EASTHAM - New Listing - This is an amazing opportunity to own a small colony of highly rent-able 1 and 2 bedroom cottages about 1/10 of a mile to Thumpertown Beach. These have been great rentals for many years. Cottages #1 and #3 are 2 bedrooms and a bath and have been well maintained and recently updated. Cottage #2 is 1 bedroom and has been completely rebuilt. Marvelously renewed with an open kitchen and living room on the first floor and a large bedroom upstairs with a large deck for lounging. Dream Here! More information, photos, and a Virtual Tour can be found Here! Here is the April 1st, 2019, snapshot of the Eastham real estate market (single family homes). We had 10 sales for March, up 4 from February, a bit high for a March, but bringing the year-to-date sales number right in line with last year. Inventory levels are improving nicely, providing a fair number of nice homes at most price points. I've declared that the 'spring' season has begun! (Click on table to enlarge it for easier reading). EASTHAM - New Listing - Take a look at this larger contemporary Cape, with wide-open living/dining/kitchen/family rooms with hardwood floors, gas fireplace, vaulted ceilings and skylite, large first floor master suite. Upstairs are 2 bright bedrooms and a bath. Full walkout basement, gas heat, and central AC. This home has a large deck and is nicely landscaped. Close to the National Seashore beaches, at the end of a private cul-de-sac, in an area of nicer homes. Dream Here! More information, more photos, just more! ... GO HERE! Take a self directed walkthrough with a 3D Virtual Tour...HERE. EASTHAM - New Listing - Looking for the perfect beach get-away that can bring in substantial summer rentals? This is a super clean, and nicely updated, 2+ bedroom ranch cottage, just 3 houses from the beach. Nice granite and stainless kitchen, open to the dining area and bright spacious living room. What makes this ranch particularly special is its private association beach and its stunning views from the rooftop deck. Dream Here! Looking for more photos - including the magnificent views from the deck? Look no further than HERE. Or HERE..
My April 2019 newsletter is available to download. This issue has my Eastham market report, through February. 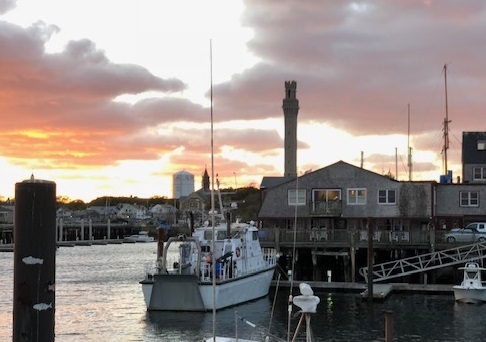 Also in this newsletter is an article about Eastham's pond beaches, information about the gas moratorium, MassSave, a double testamonial, and 2 new listings. Also, a link to my Video Newsletter (#17). This newsletter has been published every month for over 16 years. My goal, with this newsletter, is to provide accurate sales and market information for the Eastham housing marketplace, to add commentary and opinion (as appropriate), and to keep it interesting. Download your copy of my April 2019 newsletter now. EASTHAM - New Listing - The family has enjoyed this home for many years. This 2742 sqft home, with it's large rooftop deck has 360 degree views of Cape Cod Bay, the Audubon Sanctuary, and surroundings and it's just a short walk to your private Assoc beaches. Inside we have 3 bedrooms, including a wonderful master suite with its own deck, a huge sleeping loft, and a family room. The spacious living room has great views, a gas fireplace, multiple built-ins, a small wet-bar, and another smaller deck (4 decks total). The property has 3 garage spaces and spans 2 private roads for maximum parking. This property needs to be seen to be appreciated. Dream here! More information can be found at http://450QuasonDr.RobertSheldon.com. Be sure to check out the amazing 3-D Virtual Tour... Here. Dream Here! 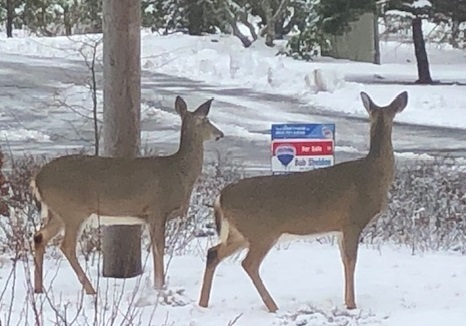 Here is the March 1st, 2019, snapshot of the Eastham real estate market (single family homes). We had 5 sales for February, down 3 from January, but actually about normal for a February. February of 2018 (last year) we had only 2 sales. Inventory levels are in our winter 'slump', at 59 (up 3 from February 1st). As the winter drags on we'll see fewer Buyers. But once snow is gone (really gone) they will pick up considerably. Let's hope! (Click on table to enlarge it for easier reading). EASTHAM - New Listing -This is a delightfully young, light filled, 3 bedroom, 2 bath contemporary Cape, with a wonderfully updated granite kitchen with Jenn Air downdraft gas stove, a breakfast bar plus a dining area, a smaller living room, and 2 bedrooms all on the first floor. The spacious upstairs boasts a 2nd, larger living room w/fireplace, and a large master suite with soaking tub. Plenty of room to spread out. There is Town water, a large yard with a fenced in area, circular driveway, a trex back deck, and a large outdoor shower. The farmers' porch and mature colorful hydrangeas are stunning. Dream Here! More information can be found at http://8SettlersTrace.RobertSheldon.com. Be sure to watch the 3D Virtual Tour ... Here.